The recommended dosage of sarilu­mab is 200 mg once every 2 weeks, administered as a subcutaneous injection; it is available as a 150-mg/1.14-mL or 200-mg/1.14-mL solution in a single-dose, prefilled syringe, and can be used as monotherapy or in combination with methotrexate or other conventional DMARDs. The FDA approval of sarilumab represents a new treatment option for patients with moderate-to-severe RA who have had an inadequate response or intolerance to ≥1 DMARDs. Sarilumab plus methotrexate and sarilumab plus DMARDs significantly improved outcomes in patients with RA. Mayo Clinic staff. Rheumatoid arthritis: overview. March 18, 2016. www.mayoclinic.org/diseases-conditions/rheumatoid-arthritis/home/ovc-20197388. Accessed June 23, 2017. Arthritis Foundation. What is rheumatoid arthritis? www.arthritis.org/about-arthritis/types/rheumatoid-arthritis/what-is-rheumatoid-arthritis.php. Accessed June 23, 2017. Arthritis Foundation. How RA inflammation affects your heart: researchers explore why having rheumatoid increases the risk of heart disease and recommend better risk assessment. www.arthritis.org/living-with-arthritis/comorbidities/heart-disease/ra-and-your-heart.php. Accessed June 23, 2017. Salaffi F, Carotti M, Gasparini S, et al. The health-related quality of life in rheumatoid arthritis, ankylosing spondylitis, and psoriatic arthritis: a comparison with a selected sample of healthy people. Health Qual Life Outcomes. 2009;7:25. Arthritis Foundation. Rheumatoid arthritis treatment. www.arthritis.org/about-arthritis/types/rheumatoid-arthritis/treatment.php. Accessed June 26, 2017. Arthritis Foundation. Treat to target approach im­proves RA outcomes: when doctors “treat to target”—with specific goals—patients improve faster and stick with meds. Updated April 2015. www.arthritis.org/about-arthritis/types/rheumatoid-arthritis/articles/treat-to-target-rheumatoid-arthritis.php. Accessed June 26, 2017. Mayo Clinic staff. Rheumatoid arthritis: treatment. March 18, 2016. www.mayoclinic.org/diseases-conditions/rheumatoid-arthritis/diagnosis-treatment/treatment/txc-20197400. Accessed June 26, 2017. PR Newswire. Regeneron and Sanofi announce FDA approval of Kevzara® (sarilumab) for the treatment of moderately to severely active rheumatoid arthritis in adult patients. Press release. May 22, 2017. www.prnewswire.com/news-releases/regeneron-and-sanofi-announce-fda-approval-of-kevzara-sarilum ab-for-the-treatment-of-moderately-to-severely-active-rheumatoid-arthritis-in-adult-patients-300461766.html. Accessed June 20, 2017. Srirangan S, Choy EH. The role of interleukin 6 in the pathophysiology of rheumatoid arthritis. Ther Adv Musculoskelet Dis. 2010;2:247-256. Avella Specialty Pharmacy. Rheumatology medications. www.avella.com/specialties/rheumatology/rheumatology-medications. Accessed July 21, 2017. Diplomat. Diplomat to dispense Kevzara for treatment of rheumatoid arthritis. Press release. May 25, 2017. https://diplomat.is/news-and-media/press-releases/diplomat-dispense-kevzara-treatment-rheumatoid-arthritis/. Accessed July 21, 2017. OptiMed Specialty Pharmacy. 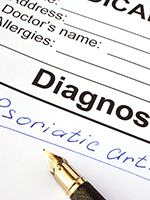 OptiMed Specialty Pharmacy to distribute new rheumatoid arthritis drug. Press release. June 19, 2017. www.optimedspecialtyrx.com/news/65-optimed-specialty-pharmacy-to-distribute-new-rheumatoid-arthritis-drug. Accessed July 20, 2017.